Lester Young (1909-1959) was one of the great jazz masters, whose tenor saxophone playing brought new levels of expressiveness and subtlety to the jazz language. Many of his recordings – with Billie Holiday, as a member of Count Basie’s band, and under his own name – are numbered among the finest examples of the art. A complicated, vulnerable, gentle man, Lester (dubbed ’The President’, by Billie Holiday, later shortened to ‘Prez‘) was brought up in his father’s travelling carnival band. His early career was spent in the nightclubs and dancehalls of Kansas City and the South-West and he made his recording debut at the peak of the Swing Era. At the height of his powers he was drafted into the US Army, where racism and his own unworldliness landed him in a military prison. Thereafter, he became withdrawn and suspicious, and, as his music grew darker, seemed to lose the will to live. Woodville, in Wilkinson County, Mississippi, is the birthplace of two famous Americans – Jefferson Davis (1808–89), President of the Confederacy, and Lester Young (1909–1959), saxophonist. Apart from their place of birth, they seem to have had only one thing in common, namely that they both served time in jail. In the year in which Lester Young was born, Woodville and its environs boasted a population of 2,500, with blacks outnumbering whites by almost two to one. Racial segregation was rigidly enforced, disputes might be settled with a bullet, and lynchings were not unknown. At around the time of Lester’s birth, on 27 August 1909, a local election was held, during which the National Guard were called in to quell a riot. In other words, just another quiet, hospitable Southern town. The guy in question was a pianist named Art Bronson, and the six-piece band he was seeking to enlarge was known as the Bostonians. Since it came originally from Denver, Colorado, was now based in Salina, Kansas, and had no known connection with Boston or New England, the reason for its name remains a mystery. In February 1936, when Lester Young joined him at the Reno Club, Bill Basie was thirty-one years old. Born in Red Bank, New Jersey, he had been a protégé of the great Fats Waller when they were both still teenagers. Indeed, he had literally sat at Waller’s feet, observing those extremities as they worked the organ pedals in the pit of New York’s Lincoln Theater. 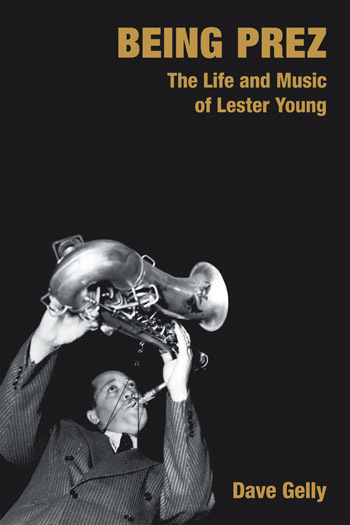 We must always remember that Lester Young’s recording career began at the relatively advanced age of twenty-seven, when he was already at the height of his powers. When he walked into ARC’s Chicago studio in November 1936 he was in possession of the equivalent of a poetic ‘voice’, the innumerable points of style which go to make a unique and consistent mode of expression. It was the suddenness of his arrival as much as anything that caused the initial consternation. People were simply not prepared for a voice not only so different from what they were used to, but so complete, confident and uncompromising. It is not at all surprising that his playing first found favour with young people, like the teenaged Al Cohn. They lacked preconceptions. Lester Young and Count Basie, friends and co-workers for the past five years in Basie’s band, parted two weeks ago. The split came as a terrific surprise to followers of Basie and the band. Basie said he would not comment. Young…likewise refused to discuss the change and said he wasn’t sure what he would do… Les, who failed to show up for a record date on Friday 13th [December], said ‘Go ’way and lemme sleep – a man’s got no business makin’ music on Friday the 13th’. Al Sears was a tenor saxophonist, a few months younger than Lester, who had been leading a series of bands over most of the preceding decade. His current, thirteen-strong outfit had been formed the previous October for a residency at the Renaissance Casino and Ballroom on West 138th Street. This contract came to an end after Lester had been on board for a couple of weeks and Sears signed up for a long tour under the auspices of the United Services Organisation (USO), a partly state-funded voluntary body which provided entertainment for the troops. With the country on a war footing, shortages of fuel and other supplies were making life increasingly difficult for touring bands. Jammin’ The Blues catches Lester Young at a creative peak, and also on the brink of his personal abyss. Just before the shoot he had received his call-up papers. This was not the first communication the Draft Board had sent him, but he had taken no notice. A touring musician was a moving target and, as Buddy Tate explained: ‘A lot of musicians beat the Draft by saying, “Well, I didn’t get it – I was on the road.” We were all trying to stay out because we were making too much money, and there were so many lonely ladies.’1 This time, however, the Draft Board really meant business. The three-year contract with Philo, a new label, had been negotiated by Norman Granz on Lester’s behalf while he was still confined at Fort Gordon. Towards the end of the war, small record labels seemed to be springing up almost daily. The dispute between the AFM and the record companies had led to a curious state of affairs, in which anyone who was ready to agree to the AFM’s terms could obtain the union’s approval and set up in the record business, while established major companies which held out remained strike-bound. This produced a vast bubble of tiny enterprises run by dreamers, sharp operators, would-be tycoons and ambitious fans, few of them with any real expertise. Some didn’t even have offices and reputedly kept their paperwork in their hats.1 Compared with this Dickensian rabble, Philo’s proprietors, the brothers Eddie and Leo Mesner, were paragons of good business practice. Lester Young was their first contracted artist. During his five weeks in Chicago, at the Hurricane Lounge, Lester met the woman who was to become his next wife. Her name was Mary Berkeley and she was African-American. Little is known about her life before they met, but by all accounts she was a quiet, calm person, the precise opposite of the volatile Mary Dale. They were married towards the end of 1946. Mary was just the kind of companion Lester needed at that stage in his life. His army days were behind him, but a legacy of bitterness and suspicion remained. He found it hard to trust people, especially white people whom he didn’t know well, and tended to avoid socializing if at all possible. He had, of course, always been shy. Back in 1934, when Lester had been under pressure in the Fletcher Henderson band, with Mrs Henderson breathing down his neck in her efforts to turn him into an imitation Coleman Hawkins, Billie Holiday had tried to cheer him up by assuring him that, one day, people would be copying him. Her prediction had now come true. From time to time, throughout the 1950s, Lester appeared as guest soloist with Count Basie’s band. It was now a very different band from the one he had been a member of, but he always enjoyed the experience. Various recordings survive, most of them rather scrappy affairs taken from live broadcasts, but the one made at the 1957 Newport Jazz Festival is much better. The date was 7 July, and there was a down-Memory-Lane flavour about the whole set, with Jo Jones and Jimmy Rushing also taking part. Lester plays his own two feature numbers, ‘Polka Dots And Moonbeams’ and ‘Lester Leaps In’, for which Basie carried fully prepared arrangements, and is then joined by Jones and Rushing for off-the-cuff versions of ‘Sent For You Yesterday’, ‘Boogie Woogie’ and ‘Evenin’’. His playing is remarkably forceful throughout and he improvises delightful accompanying lines behind Rushing. Reading through interviews with Lester Young, the recollections of his friends and stray remarks of his that were picked up and quoted, one notices a recurrent theme. He was constantly protesting that he minded his own business and didn’t bother anyone. His aim at such moments seemed to be to pass through the world causing as little disturbance as possible. In this, despite his best efforts, he failed. If, as humanists assert, our personalities survive in the memories of other people, in the work we do, the emotions we stir and the effect we have on the world in general, then we must conclude that he is still very much with us. What a glorious book! I expected from Dave Gelly informed and perceptive commentary on Lester Young’s music. What came as a rich bonus was the warm light Dave has shone through the veil of obscurantism behind which the jazz genius chose to live his life. How come? 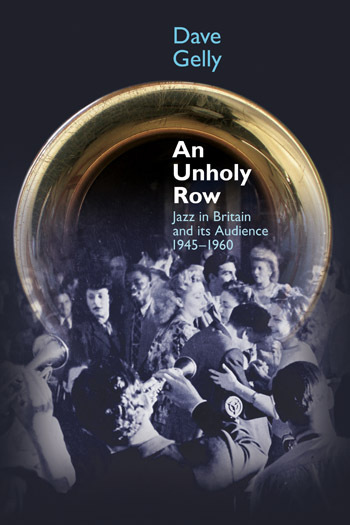 By widening the focus to take in detail of the fascinating jazz world that Lester inhabited, all described with a lightness of touch that leads to many smiles – and a few lumps in the throat. By the end of a biography that is surely definitive in the true sense, I felt the glow experienced after viewing a sensitive and beautifully-constructed documentary. Then I went straight to my record shelves to listen again, with ears eager and refreshed, to all the lovely music. 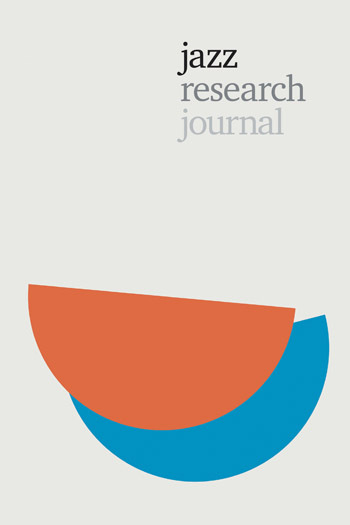 This exemplary and concise study is illuminated by the author’s straight-ahead prose. While fully aware of the musical and biographical details, Gelly wears his knowledge lightly in a way that will appeal to general readers as well as specialists. An outstanding book, covering the life and music of a truly unique musician, by one of the most perceptive and literate jazz writers. Eminently readable from the first page to the last, Being Prez is an essential addition to the jazz library. Tells the story of the saxophonist who spanned minstrelsy and Miles Davis. Enlivened by Young’s camp humour, this labour of love will appeal to a wider readership.